The Unicode Blog: IUC 42 Call for Participation Announced! 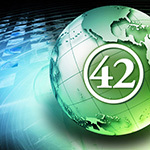 IUC 42 Call for Participation Announced! The IUC 42 Program Committee invites you to submit your session, tutorial, or panel abstracts for the 42nd Internationalization & Unicode® Conference (IUC 42) in Santa Clara, California, September 10-12, 2018. Join other industry leaders as they map the future of internationalization, ignite new ideas, and showcase the latest technologies and best practices for creating, managing, and testing global, web, and multilingual software solutions. Let imagination be your only limit! Please submit a brief abstract by the deadline of Friday, March 9, 2018. Please visit the conference website to view examples of content from past conferences.